This coffee will be fresh roasted for you. 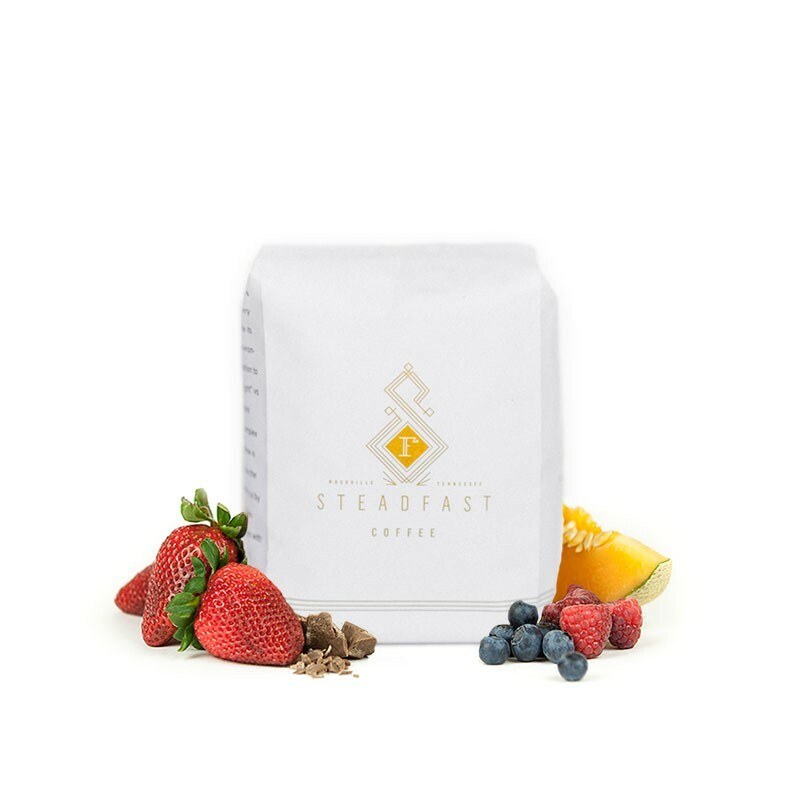 We expect Steadfast Coffee will roast and ship this coffee in 1-2 business days depending on their roasting schedule. This is the Congo Kawa Kabuya brought to you by Steadfast Coffee. This fully washed coffee was sourced from the growing region of North Kivu in Democratic Republic of the Congo and was produced by the various small holder producers at 1,600 meters. We love this coffee for its deep notes of black cherry with a bright acidity of fuji apple and melon. So fruity! But not overwhelmingly bright. This was by far one of my favorites. Wish I still had some to drink right now. I didn't tease out lots of the notes, but I enjoyed this. Not TOO light, not TOO acidic. Not as fruity or nutty as I might want, though. Too acidic for me and the flavor is not very pleasant. The description is accurate, I tasted cherry with subtle chocolate notes and tangy acidity. However, the flavors were not as prominent as I would have liked. I brewed with a Chemex. Flavors were bright and citrus, but too much acid for me personally. Great coffee just not my bag. Amazing coffee!!! Brewed on the Chemex, the clean cup really highlight the acidity. We get notes of keylime right off brewing but as the cup cools, we get apple, which then leaves a delightful honeydew aftertaste. Absolutely loved this one.